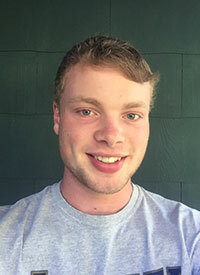 Evan Ulrich is a sophomore physics student at Juniata College—a small liberal arts college in central Pennsylvania. He has a deep love for physics, and hopes to continue his education in this field after his undergraduate experience. As of now, his interests involve many different fields: including optics and nuclear physics. He has taken – and greatly enjoyed - many intensive physics and mathematics courses as an undergraduate. Aside from classes, Evan is an active member in Juniata’s Society of Physics Students, an introductory lab assistant, and a tutor. Teaching and promoting physics has become a main component in his everyday life and will continue to be.